Japan's whaling authorities said they are suing campaign group the Sea Shepherd Conservation Society and its head in the United States in a bid to stop it from interfering in the annual whale hunt. It is the first time that Japan has attempted legal action abroad against anti-whaling campaigners, who have sometimes used extreme methods against ships involved in the hunt, carried out under rules that allow research whaling. Sea Shepherd, based in Washington state, regularly sends vessels to harass the whalers. In previous years it has thrown stink bombs onto the decks of the Japanese fleet, while vessels from both sides have repeatedly clashed, the report says. 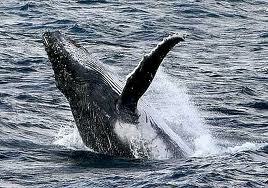 Earlier, there were claims that Japan was using funds fro tsunami victims for its whaling campaign. Japan has confirmed it planned to use some of the public funds earmarked for quake and tsunami reconstruction to boost security for the hunt.